Card games have confused history and blackjack history is not different from other card games. Finding the right history for the card games is really hard and for blackjack it is harder than other. 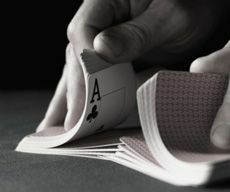 Many people think that in 17th century blackjack was started. The origin was in France with the name Vingt et Un that means 21. But Vingt et Un has different types and the origin of the Vingt et Un is also confusing. The rules of the blackjack and the Vingt et Un is different in many ways and the name came from spades as the ace and jack. In this modern age the function of blackjack is to get 21 to win the game. As blackjack history, in 17th century in Italy there was a card game similar to blackjack known as 7 and ½. This game had face cards including 7, 8, 9 and 10. If you have over 7 and ½ you just lose the game. Blackjack game was first introduced in United States by some gambler of France after the revolution of France because that time in France some restrictions were in gambling but not in US so gambler from France went to US to gambling freely. But in 19th century some rules had formed in US to restrict the gambling. People often played the game in secret before 1931 when gambling got the legal permission to play in casinos. From that time people started to find some blackjack strategy and tips to win the game and Roger Baldwin was the first person to do so, but that wasn't enough. When Edward Thorp found the strategy of card counting theory, the game become easier to play, his book became best seller of the year 1962 and people could learn many tips and tricks about the game. This became concerns of many casinos to change the rules and system of the game. There was a difficulty to understand the book of Thorp because many of that came from mathematics. So people can't really understand the book well and the game rules remain same as the old time. Ken Uston is another person who has written many books on the blackjack to make the game easier. There was another team named the MIT blackjact team who used the card counting systems and by that they got millions before they caught up by the Griffin investigating company. In Europe, North America and Australia, you can find many casinos where blackjack is the main game. You can use any trick but the technology of modern casinos has enough protections to prevent cheating. This is the brief blackjack history.